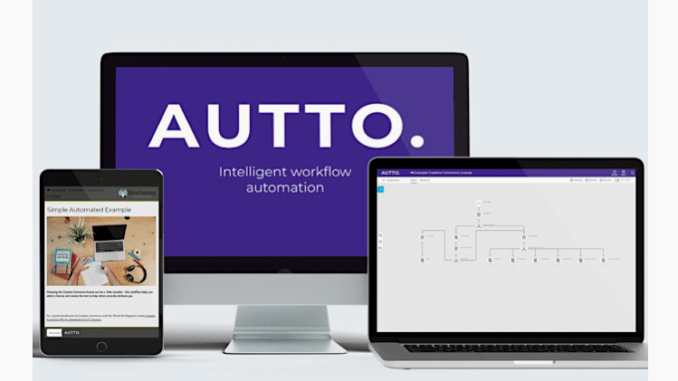 The intuitive legal automation platform, Autto, has now come to market after two and a half years of intensive development, building what the founders believe is a system for automating processes, documents and workflows that could shake up the legal market. One key factor in Autto’s favour is that unlike some companies that just do for example Q&A expert systems, or just document automation, Autto has sought to build an entire drag-and-drop software system that allows people to build whatever they want – and to connect what they have made to all the other parts of the business. I.e. this is truly a ‘Lego-style’ system that can be adapted to whatever you want to build. The other key factor is the price. While some expert systems and doc automation platforms can be seriously expensive, Autto is offering a pricing structure that should make it accessible to all legal services businesses, from the global giants to smaller legal teams. Gosling added that the Beta users they have worked with over the last couple of years showed that they quickly got used to the system and could make what they wanted, without having to resort to long-running consulting engagements. The core idea is not that Autto builds it for you, rather you build what you want yourself. The system uses a secure online service and all you need is a browser. Gosling adds that as this is a digital process users can easily collect data on how the system is used, which may in itself have some value for the organisation. Readers will also have detected that Artificial Lawyer is rather excited by Autto finally coming to market. One reason is that this site first met Gosling right back at the beginning of the company two and a half years ago. Every few months the company has moved forward with its goals – and now, here it is. Can it really shake up the market? Yes. If you have to pay in the $10,000s to a tech company just to build a simple Q&A system that helps to fill in a document, or to create a basic workflow with automated components, or deliver some crystallised KM, then it’s a barrier. As Gosling says, the cost/benefit analysis makes many firms and legal teams think it’s not worth it – and that is a huge loss to the productivity of the legal sector. Arguably, this cost barrier also contributes to reduced access of justice. Their system will be priced at a starting level of around £185 ($240) per month, with prices changing based on how many ‘action points’ are involved in your workflows. In reality every legal business – and many that are not but deal with contracts or other legal material – could be automating a significant minority of their processes with this type of technology. Companies should have self-service systems for building the documents employees need. 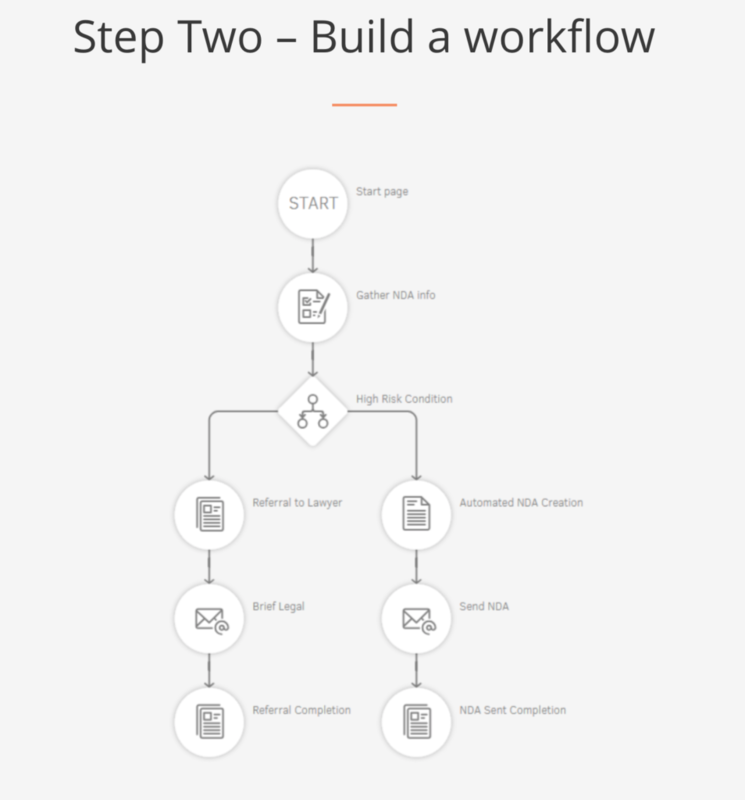 Law firms should have all work flows that can sensibly be partially automated made that way. Gosling added that aside from cost the other real barrier to adoption in the market of other automation tools has been a lack of intuitive systems. They have spent a lot of time making Autto easy to use and have sought to take a leaf out of Apple’s book, i.e. if it’s clunky, no matter how sophisticated it is, then few people will use your tech – it HAS to be intuitive if you want broad adoption. Of course, the proof will be in the pudding. And, there is competition out there. There is longstanding expert system company Neota Logic, of course; and there is Germany’s Bryter, and the Netherlands’ Berkeley Bridge, which are also doing great work. And there are a myriad of other document automation companies and applications with a more narrow focus. To conclude, it’s worth repeating that although many people think of ‘contract automation/template filling’ when they hear ‘legal automation’, it’s in fact a very broad field that covers any aspect of legal work where elements can be digitised and helped with some automated actions. Is this AI…? Nope. Not unless you want to get into the old 1950s debate about modelling human processes with rules-based systems that was the origin of the term ‘AI’ back when computers were the size of small houses, but which has now been superseded by the data-driven applications using machine learning of today. For Artificial Lawyer what this is doing is getting to the core of the only challenge that really matters in the legal market, and that challenge is: how can we change the means of legal production? The answer is: automation. While some AI systems that have incredibly complex NLP and ML are great tools and are fundamental to legal automation, we also need to try and automate the other key aspects of repeatable legal work. 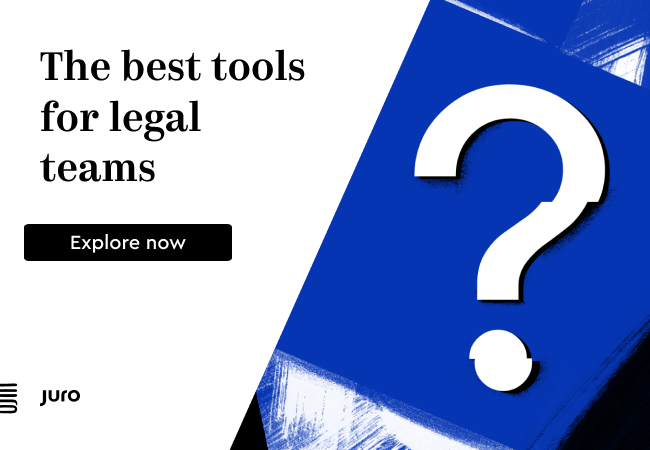 In fact, if we look at the legal market, automating workflows, Q&A-type KM systems, standard doc creation, approval processes and other similar ‘routine’ tasks make up a significant part of all legal work. The potential for such companies to grow is enormous. Why they haven’t yet is perhaps as Gosling says, a combination of cost and a less intuitive UI/UX than lawyers may easily respond to. Will Autto succeed? We will see, but their coming to market after several years of hard work and numerous Beta tests with lawyers to help perfect the system certainly bodes well. An example of an Autto workflow – which is drag and drop.